Obedience. Not An Easy Thing. Truth Moment: I’m a procrastinator. I know the things that I should or need to be doing, but I always put it off- at least for a little while. I have even learned how to procrastinate while I’m in the middle of procrastinating (pretty sure that’s a talent). Over the years of growing closer in my relationship with Jesus- I have learned that He is not a dilly-dallier. One thing that accompanies being a follower of Jesus is a little thing called ‘obedience’. Real obedience, like immediate response type of obedience. Not the kind of obedience that you put on the shelf until you can get around to it. I have learned over the years that our obedience to God is not optional (even thought at times we would like it to be). The more we grow in our relationship with the Lord, the more we see His greatness, and then our response to His commands become more immediate. Obedience to Him becomes a reflex. It becomes who we are, not what we do. Obedience can begin to feel like a burden if it’s just something we have to continuously stay on top of. But obeying Jesus isn’t about making sure we do one thing and don’t do another. He tells us in John 14:15 that obedience is the result of time spent with Him and flows naturally from our love for Him. He says, “If you love Me, you will obey Me”. Over the years I’ve learned that there are different stages of obedience. First, submitting our lives to Jesus. This is the start of our relationship with Jesus. Of course, submission is always voluntary. Jesus does not force us to follow Him, but He invites us. And what I love most is that He will never stop inviting us to have a close, intimate relationship with Him. But in order to have that relationship- we need to be willing to submit our lives to Him and His will for us. Secondly, getting to know Jesus. A strong relationship with Jesus can’t be built overnight. It takes time. And we get to know Jesus by spending time with Him in prayer and in reading His Word. Even when times are tough and uncertain, the Holy Spirit is there to remind us of how much Jesus had to endure on earth; how He dealt with all life’s struggles and decisions. The more we get to know Jesus, the clearer we can hear and understand His desires for us. As much as we try to be consistent, we will continue to find it impossible to obey Jesus in our own strength. (Trust me, I have tried). It’s Jesus and His strength that does it for us. Jesus says in John 15:5, “I am the vine; you are the branches. If you remain in me and I in you, you will bear much fruit; apart from me you can do nothing.” Our life of obedience is the result of the Holy Spirit in our lives and the fruit we bear from our relationships with Jesus. This fruit shows everyone around us that we belong to Him. As long as we (the branches) remains in Jesus (the grapevine), we receive the nourishment we need in our lives to produce fruit. Obedience is supernatural evidence of what abiding in Jesus looks like. All of our good deeds and true successes come from His nourishment, not from our own natural abilities, good sense or cleverness. In John 15:1, Jesus calls His Father the gardener. While I don’t know much about gardening, I do know that a good gardener reaps a good harvest only after putting in hours and hours of work. Rocks need to be removed, weeds pulled, and plants watered. But then there is also pruning. Pruning is when the gardener has to cut away all the dead and overgrown branches. Jesus goes on to say in John 15:2 that “He cuts off every branch in me that bears no fruit, while every branch that does bear fruit he prunes so that it will be even more fruitful.” Pruning can be painful, but it’s necessary in our walk with the Lord. Obedience was honestly a tough lesson for me to learn; and immediate obedience even more difficult. We all have our moments and seasons of rebellion.We yell out when God wants to get rid of something we are holding onto so dearly; whether pride, relationships, dreams, etc. But God’s ultimate goal is for each and every one of us is to be fruitful. So when those tough lessons, moments, and seasons arise- remember to submit, listen, and obey. God’s grace is abundant and it’s through His grace that we experience the fruit of immediate obedience. Is a Less Hectic Life Possible? Friends and coworkers would ask, “How do you manage all you do?” And I’d respond “I guess I’m just wired that way.” I know, it’s a humble brag- not something I am proud of. But I honestly thought it to be true. Maybe I was wired differently. Maybe I could handle more than others. Sadly, my heart enjoyed the recognition of all the work I was able to accomplish and I hungered for that type of response; it fueled me to keep pressing on. But, at the end of the day when it was time to relax, my to-do list whispered another truth. The truth that I haven’t done it all, that there was more to do. My friends don’t see that side of me. They have the advantage of seeing all the things that I am able to accomplish; not all the things left undone. But I do. Its there staring me in the face. Perhaps I’m not alone in this feeling. Perhaps you feel it too? That no matter how much you accomplish, what bothers you most is that you weren’t able to finish all the tasks. That long to-do list keeps you up at night. You sit there thinking of all the things yet to accomplish and mark off the to-do list. It’s not all the undone work, but those everyday tasks like cleaning the house, laundry, making a menu for the week, and paying bills. But there’s even more. There are the dreams that seem too far out of reach. Like taking a vacation. Or making the time we want to be intentional with those we love, including God, but can’t seem to manage. Recently my ulcers started to act up more often than usual, and I slipped back into losing large amounts of sleep each night. A couple weeks ago, as I was sitting on the couch, I found it hard to breathe and anxiety arose, but there was no apparent threat- just a lot of stress. The looming deadlines, the demanding work load, and mounting emails beckoned. My life felt completely out-of-control. I was burned out from having too much to do, and always feeling behind. The fear of disappointing someone chased me constantly. I was busy, but simply didn’t know how to stop the endless cycle. Turns out I didn’t have an anxiety problem. I had an over-commitment problem. I committed to almost everyone and everything. In order to start making changes, I had to honestly face some hard things about myself. My hunger for significance drove me to take on more than I could handle. Before I could live the less hectic life that I desperately longed for, I had to address the root issue of my heart’s need. And part of that was identifying the lie that drove me to overwork myself. Jesus promised an abundant life, but also told us there is an enemy plotting our downfall. “The thief comes only to steal and kill and destroy. I came that they may have life and have it abundantly” (John 10:10). Our enemy, “the thief,” is also a liar, always twisting the truth. So while Jesus promised an abundant life, Satan spins it so we think that life is found in an abundance of activity and commitments. And before we realize it, life has stolen from us what’s best…room to breathe, time to focus, and space in our schedules to fulfill our God-given priorities. 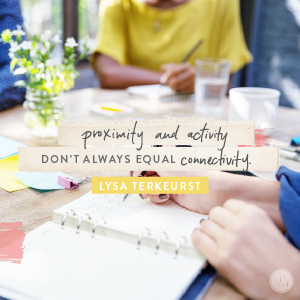 The abundant life Jesus offers isn’t filled with to-do’s (even though I believed that to be the case for far too long). Tasks and commitments only satisfy us from the outside in, never reaching the core of who we are. However, Jesus’ satisfies us from the inside out, as we experience the depth of His love, His purpose and His peace. This is no easy change- and I know it won’t just happen overnight. But each day I am learning to trim my responsibilities so I can experience the abundant life that Jesus promised. Jesus promises a less hectic life, and it’s a promise He can fulfill when we look to Him to fill our days, instead of an endless to-do list. It can be so hard to trust God with my future because I have no idea what’s going to happen. Don’t get me wrong, I definitely trust God in so many OTHER areas, but when it comes to my future- I struggle. I don’t think I am alone in this. Anyway, the other day I was thinking about the fact that I would be turning 31 soon and was really struggling to trust God with my future, but more specifically my love life. I decided to set out on a ‘Trusting God’ Mission. I wanted to trust God MORE and I wanted to completely surrender to Him my future (and my love life). I had no idea what this journey would look like, where it would take me, or the emotional roller coaster I was about to embark on, but I was excited. Excited to see what truths He would reveal to me. While trusting God with my future was one of the hardest things for me to do, I was tired. Tired of trying to do it all. Tired of thinking that my plan for my future was somehow better than God’s plan for my future. When I began to think about my future, and why it was so hard for me to completely entrust it to God, my mind immediately started listing off all my “what if’s”. Worrying about the “what if’s” can be the biggest enemy to our peace and our joy. I know this first hand and it’s definitely no fun. In fact, I have several “what if’s” in my life right now. Life is full of unknowns and unfortunately I don’t think that will ever change. But instead of fretting and worrying over my future, I’ve come to understand some amazing truths that have given me the confidence to totally trust God. (yes, even with my love life). God brought me to the book of Genesis, and it was there that He encouraged my spirit. It was from an unlikely place in the Bible and from an unlikely man. I came across a familiar story of a man who was facing a lot of “what if” questions, just like me. And you know what? This man was also struggling to trust God with His future. (God certainly has a sense of humor). The story about about Abraham. At the age of 75 God told Abraham to pack up his stuff, move away from his family and friends, and live in a completely foreign land. Crazy, I know! But what is even more crazy to me than God asking him to do this, is that Abraham actually did a pretty good job at trusting God and obeying Him. The Bible says, “So Abram went, as the LORD had told him…” (Gen. 12:4a). I think at this point it was easy for Abraham to trust God. Life seemed to be going exactly as planned. Plus, he was probably super excited about God’s promise: “I will make you a great nation, and I will bless you and make your name great…” (Gen. 12:2). So off he went. Lets fast forward a little- it’s now that we begin to see Abraham struggling to trust God and His promise. He starts asking some “what if” questions about his future. Abraham is getting older and so is his wife. She’ s getting to the age where having children might be physically impossible for her. (this is not looking too good). So what does Abraham do, he starts to question God. In Genesis 15, Abraham starts reminding God that he is still childless. (as if He didn’t know). I’m sure Abraham was like “Hello, God? Did you forget about me? Did you forget about Your promise? I kind of need a son if I’m going to have all those descendants you mentioned…”He was worried about his future. Let’s be real, I think most of us would have been. Abraham started losing faith in God. At this point, Abraham’s wife also began to lose faith in God. So they decide to take matters into their own hands. You know the story (Ishmael, lots of drama, etc.). Now lets fast forward even more, at this point it’s been 24 years since God’s initial promise with Abraham, and guess what? Abraham still does not have his son. He is 99 years old- and I am sure he’s about to have a panic attack thinking about being a father at the age of 99. He is worried. He is old. His wife is old. But God sees the worry in Abraham’s heart and reminds him of the promise. Genesis 17:6 “I will make you exceedingly fruitful, and I will make you into nations, and kings shall come from you”. Abraham was struggling to see the big picture. He couldn’t see down the road of his life and that worried him. He couldn’t imagine that nations and kings would come from him, considering the circumstances! He struggled with trust. Just like me and you often times do. Abraham had no idea how his future would pan out. The amazing thing is, God did. What Abraham forgot – and what we too often forget – is that God sees the bigger picture. 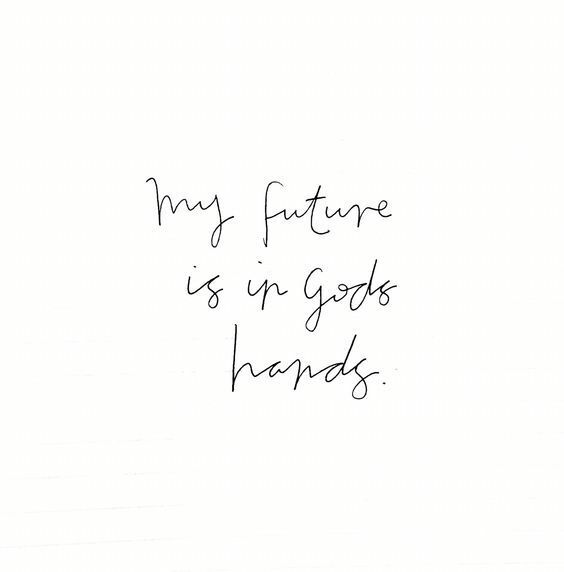 That He holds our future in His hands. God knew that nations and kings would come from Abraham. He just needed Abraham to trust Him. Just like He desires us to trust Him. I love this story. It’s an amazing reminder to me to trust God with my future, no matter the circumstances. Life will be confusing, my circumstances will seem impossible at times, my future may continue to be unknown to me. But God is in complete control and regardless of how “uncertain” your future may seem, God is faithful. We all have those “Abraham moments” in our lives, when we lose sight of God’s faithfulness. However, we can learn from Abraham’s life. We can learn the importance of trusting God with our future and yes, that even includes my love life. Sometimes I think I’m Superwoman. I try to do it all. I tend to just keep moving until I pretty much just keel over. Well last week wasn’t much different. It was a long week, so walking into church Sunday just felt like another thing to mark off my to-do list. I had been running on caffeine and no sleep. My mind felt overly exhausted, and I had no expectations to be able to take away from the sermon what I am sure the Lord wanted me to. I was running on fumes. And unfortunately when I’m running on empty, I’m a complete mess! I was feeling exhausted, irritable, I was probably insensitive and stubborn, frustrated. Not at all characteristics of Christ or the woman I strive to be each day. I have fallen into trying to be Superwoman for years, it almost just feels like second nature to attempt to do it all. I’ve learned over the years that more often than not the reason I end up feeling so exhausted and empty is because I stop plugging into my Power Source. 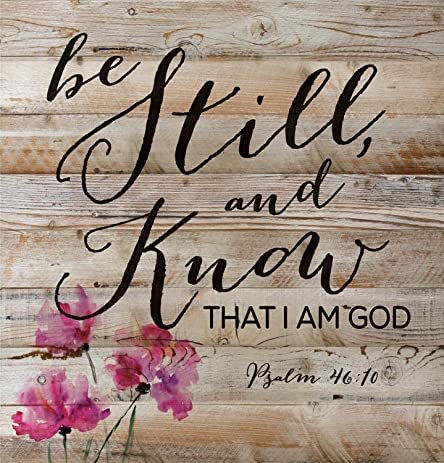 It shows me that I didn’t make time to spend time in the Word, that I didn’t set aside quiet time with God, and that I didn’t get refilled spiritually. And when I don’t plug into God, I’m bound to start running on fumes (which isn’t good for anyone). It is so essential to spend daily time in God’s presence if we’re going to live with the joy of the Lord. The more intimate our personal relationship with Him becomes, the better our fruit will be. Galatians 5:22-23 “But the fruit of the Spirit is love, joy, peace, forbearance, kindness, goodness, faithfulness, gentleness and self-control. Against such things there is no law”. Those are definitely all fruits that I want to be growing; not exhaustion, irritability, stubbornness, or insensitivity. God wants us to stay joyful even in the midst of the difficulties we face in life, because His joy is our strength. It’s the fruit of joy that strengthens us to go through whatever we have to deal with and make it to the end result. Plugging into His strength is so important, it allows the fruits of the Spirit to grow within us and our lives. So what happens when we wake up on the wrong side of the bed (because we all have those mornings). The mornings when we feel low, irritated, discouraged or frustrated. That’s when we need to plug into God. If we aren’t living with the joy of the Lord, we need to examine the root of our fruit. We need to be spending more time with God, studying the Word, doing what He tells us to do by His grace, and soon our joy and strength will return. The key is to lean on Jesus. He has the ability and strength you need.